Ek Lamha hamburger Khane Se Pahley ! Read a poem sometime back – in praise of a horse. Another birth of a spring ride. And now please read a pathetic story of horse’s plight and the perversity of human flight. Horse drawn Victorias have almost disappeared from the streets of Mumbai. Now these novelties grace the wedding cavalcades. Nawabs and Maharajas have been transformed into politicians, industrialists or actors and their stables have been converted into five-Star Hotels. They are no longer interested in any breed, rich ancestry or pedigree of horses. Horses are now owned by armed forces or race courses. The horse-romance of Indians is left in history books: Chetak, Basfala or their ilks. It is now another story in Europe. If you are not interested a horse ride near Champ Elysis, go for Horse Meat Hamburger. Courtesy – Irish Burger King franchise. There is no adulteration – 100 % pure horse meal. The only grievance you could air: It might be the poor cousin of the horse – the donkey’s meat that is garnished at your dining table. It does really matter if you have asked for Beef Burger. Both are non-veg! Yes, you are right. I’m talking about the recent horse meal scandal which is getting interesting, curious, murkier and weirder by the hour. How it had reached at your end if you were in Europe a day back? It came from the abattoirs of Romania. As the Romanian government recently banned horse-drawn carts from the road, these hackneys went out of service. What to do with the redundant animals? Simple solution: Put them on the dining table! Why the slaughter houses agreed to substitute horse for beef? Answer: India is no exception in curious businesses and Polish and Italian mafia gangs are running multi-million-pound scams can take lead from any smart resource. Substitution of horse meat for beef is not such a big deal. Veterinary doctors and other officers in the food chain are ready to help if someone is willing to pay the price. Intimidation are handy if the price-deal is not working. The authorities were managed by powerful mafia to certify ‘horse meat processed products’ as ‘beef’. From the abattoirs of Romania it went to a dealer in Cyprus, and from Cyprus to another dealer in Holland. Then it traveled to a meat plant in south of France. The French Meat Processor sold it to a French-owned factory in Luxumbourg which shaped it into the stuffing tikki of hamburger. These tikkis were sold to supermarkets in 16 countries. The story is as simple as this. Mosque near Ground Zero – To be or not to be! The whole idea to build an Islamic cultural center, which includes a mosque, two blocks away from the gaping Ground Zero hole where the Twin Towers were destroyed on September 11, 2001 was pregnant with controversies. There was the comedy of errors and there is a comedy of speeches. Paradoxes make life confusing, interesting and challenging. The whole idea to build an Islamic cultural center, which includes a mosque, two blocks away from the gaping Ground Zero hole where the Twin Towers were destroyed on September 11, 2001 was pregnant with controversies. The planners of the anticipated edifice were not naïve to know that. They have put a President whose popularity is fast plummeting into a quagmire from which it is becoming difficult for him to extricate himself. For many Americans a mosque at ground zero is adding insult to injury for the victims of 9/11 and their thousands of loved ones. No amount of placating the Muslim community will ever change their Jihadi attitude, they believe. The proposed mosque and Islamic centre at the ground zero (sorrow for thousands) can only symbolize victory for terrorism which America is supposed to be fighting at the cost of billions of dollars belonging to its tax payers. The writer feels some meat in this argument. However, Senator Jack Reed said on a news channel said : “Troops in Afghanistan are being asked to find common ground with Muslims. If you can’t do that here in United States, we’re going to have a very difficult time over there.” There is no reason to accept that this is also a reasonable argument. But, here again, we have Senator Peter King speaking on another channel: “The issue is not that there is a legal right to build the mosque but that those involved should listen to public opinion, which he said is strongly opposed to the project.” Of course he has a valid point also. Lesser mortal like this scribe should be forgiven for failing to form any opinion as the poor President of United States failed and made a U turn following public outrage, especially from families of 9/11 victims. But after a New York city commission on August 3 unanimously approved the plans, the President came out to support the right to build the mosque. We’re living in very interesting times. We have comic situations in politics and in real life all over the world. India is no exception. Politicians have to engage in a perennial struggle to balance the political correctness against public demand. 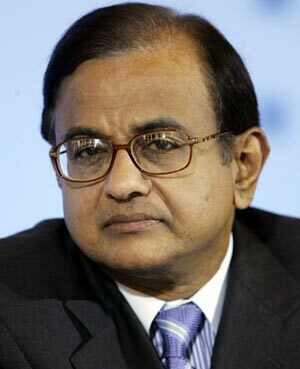 With his simple statement criticizing the IPL’s insult to Pakistani cricket players P. Chidambaram has absolved the government of all responsibility in the sorry matter. He is a rare wise man in a country where politicians only add fuel to fire. TO ALL the readers of Merinews I wish Happy Republic Day, the day when apart from all religious books, the best compilation of the wisest and farsighted ideas in the book form “The Indian constitution” was implemented. Let us forget the mockery that Indian politicians have made of this holy Indian book. Gimmick and cheap publicity have always been the name of his game. The ability to discern or judge what is true, right, or lasting. He has insight, common sense, good judgment, a wise outlook, a plan and a course of action. He is bold and courageous. India is blessed with a Home Minister who seems to be in possession of all the above qualities. Union Home Minister P Chidambaram on Monday said ignoring Pakistani cricketers for the Indian Premier League’s third season was a “disservice to cricket”, but said the government didn’t give any “hint or nudge” to the league or the teams to do so. Let Manish Tewari and Shukla hide their heads in shame for speaking off the cuff. And now listen to a neutral foreigner who could have had a vested interest but he is showing the courage to call a spade a spade. Rajasthan Royals coach Darren Berry revealed that the team was eyeing Umar Akmal but something “sinister was bubbling behind the scenes” that resulted in a collective snub to the Pakistani players at the auction. “I do not have all the information — and possibly never will as this was a very delicate issue played out behind the scenes. However, I do know — due to my coaching role with the Rajasthan Royals — that a few weeks ago Umar Akmal was No 1 priority on the Royals’ shopping list,” Berry was quoted as saying by The Age. “All of a sudden he was not available. As the auction unfolded live on TV in India, it became evident that it wasn’t just Umar Akmal who was in the no-go zone, but all of the Pakistan players,” he said. Berry said Shahid Afridi & Co are justified when they say they feel slighted. “I am staggered at the treatment of the Pakistan players. I agree with Afridi that he and his countrymen were humiliated at the auction. “The question is: why were they allowed to stay in the auction if no one was going to bid for them? Something far more sinister was bubbling behind the scenes and the players themselves knew nothing about it. It’s unfortunate that two very proud cricketing nations are again at loggerheads,” he said. Now I say – It’s high time for the Pakistanis, mad Wahabbi Talibanis and their patrons around the world to realize that India is a country where the people have the courage to speak the truth. They can stand for principles. Forget the radical and fringe elements in India. They don’t represent India. The true Indians are broad-minded, honest, courageous, accommodative and not religiously blinkered like them. It’s not simply the game of cricket but the Indian values which you have upheld Chidambaram.